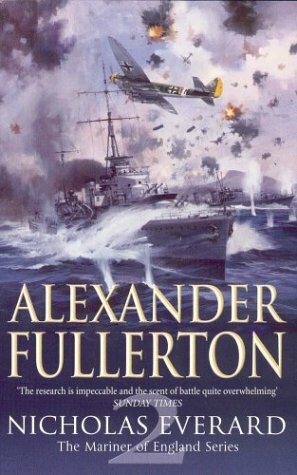 Alexander (Sandy) Fullerton (1924-2008) was an author of modern British naval fiction, whose writing career spanned over fifty years. Born in Suffolk and brought up in France, he enrolled as a cadet at the Royal Naval College, Dartmouth at thirteen, and served with distinction as gunnery and torpedo officer of HM Submarine Seadog during WWII. He was a fluent Russian speaker, and after the war served in Germany as the Royal Navy liaison with the Red Army. His first novel Surface! was written on the backs of old cargo manifests whilst working for a Swedish shipping company, and sold over 500,000 copies and needed five reprints in six weeks. After coming ashore, he worked in publishing and lived around the world before settling in West Sussex. He is perhaps best known for his nine-volume Nicholas Everard series, which began with The Blooding of the Guns and was translated into many languages, winning him fans all round the world. 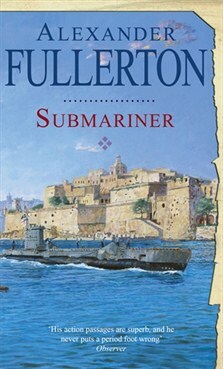 His 50th novel, the much anticipated Submariner, was published the year of his death.